Before Planting: This neglected area needed renovation. 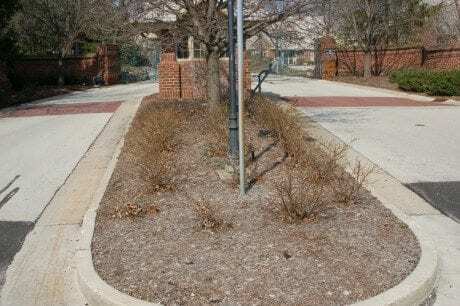 After Planting: These new plantings rejuvenated the space and now welcomes residents and visitors with an array of visually appealing shrubs and perennials. A common area at a condominium had an area that was neglected and needed new shrubs to revitalize the space. 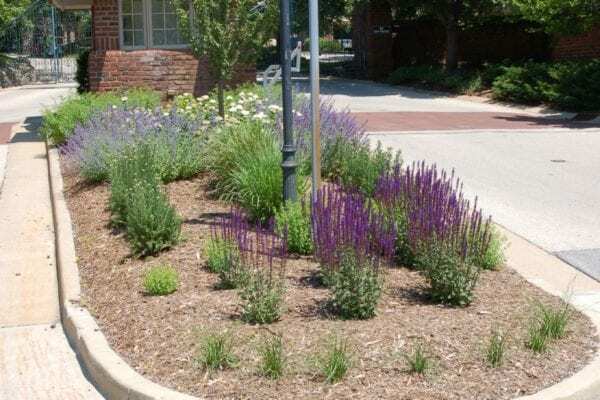 A planting plan was developed using plants specific to the space and growing conditions so that the new plants can perform well into the future.